Browser Compatibility is a key element when choosing an SSL provider. Instant SSL is inherently trusted by 99.3% of the current Internet population. This makes Instant SSL as equally trusted as more expensive Certificates from Symantec and Thawte. We offer 24/7 technical support for all SSL Certificates purchased on our website. Please submit a ticket from the customer portal as this is the quickest way to get a response to your questions. 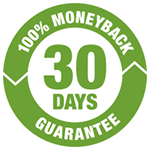 We are confident that you will be happy with your purchases and offer a 100% money back guarantee on SSL Certificates for a full 30 days. Will my SSL Certificate be setup immediately? Standard SSL Certificates are issued in minutes, easy to setup and install. Keep your eyes on your emails for the next steps to setup. If you are having any issues please feel free to submit a ticket from the customer portal. We support Credit Cards, Debit Cards and Apple Pay using Stripe, Bank Transfers or PayPal if your prefer. If you contact our Customer Experience Team within 10 days of your purchase date, we almost guarantee you we can fix any issue. Copyright © 2019 - meerkatwebhosting.co.uk - All Rights Reserved.